The fine leather wear of NOI Firenze along with The Vettori Jewelry designs of Sada Gold and Trade Gold are showcasing their new Italian designs at an exclusive Chicago trunk show 10 a.m.- 7 p.m. Wednesday, November 18 through Sunday, November 22 at the Palmer House Hilton Hotel (17 E. Monroe St., Ste. 9150, Chicago). Based in Florence, Italy these designers bring their creations to the United States with a unique opportunity to showcase their fashion and design expertise. 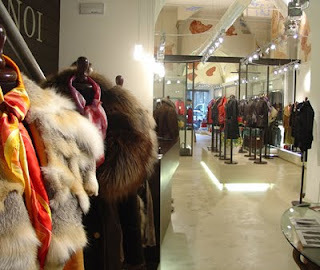 The experienced NOI Firenze professional team has worked in the leather clothing and leather accessory business for more than 40 years, and attracted the attention of many high-profile clients including singer Tony Bennett. NOI Firenze’s Italian boutique showroom is located in the heart of Florence’s historical center not far from the Ponte Vecchio, one of the most recognizable bridges in the world. Using only the finest quality leather from its tannery, the NOI Firenze team understands current and classic fashion and offers its products at competitive prices. Joining the fine leather goods of NOI Firenze are Sada Gold and Trade Gold, available at The Vettori Jewelry Shop located at the Ponte Vecchio in Florence, Italy. The store offers a line of timeless jewelry, maintaining high standards and specializations of master goldsmiths without losing sight of the evolution of style. A collaboration of five historical families with centuries of experience hand crafting spectacular jewelry, Sada Gold and Trade Gold offer 18 karat gold with quality precious stones, each piece a token of Florence. Five unique traditions have led to the creation of the collection offered by Sada Gold and Trade Gold. 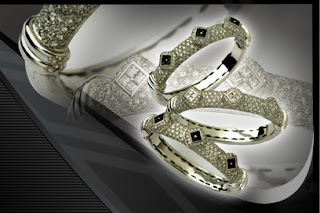 Each piece is designed to make every woman feel special and to acknowledge every individual taste. With more than 20 years of experience in the industry, the Sada Gold and Trade Gold team are experts in helping customers find their own personal treasures. The Chicago trunk show, which is free to attend, runs November 18-22 at the Palmer House Hilton Hotel (17 E. Monroe St., Ste. 9150). 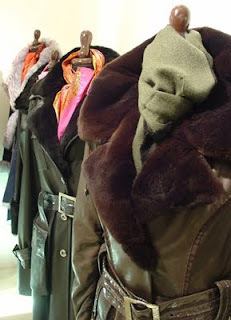 For more information about NOI Firenze’s leather clothing and accessories, please call (312) 994-2620, or visit www.noi-firenze.com. To learn more about The Vettori Jewelry Shop where Sada Gold and Trade Gold are sold, please visit http://vettorigioielli.com.